Calling on Brattleboro community spirit! A loyal friend to Brattleboro needs her people! Teeth are not only for pretty. They are an essential piece of our overall health. Please, don’t let Laura Austan go without them! The Brattleboro Recreation & Parks Department is pleased to announce they will be offering a Mini Camp for children 5-11 year old (maximum 25 participants). The camp will be held on Wednesday – Friday, December 26th – 28th from 8:30am to 1:30 pm at the Gibson Aiken Center. (Children may stay for Open Gym at 1:30 which is also a supervised program). 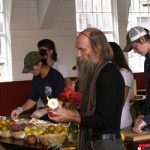 Heirloom Apple Day at Scott Farm Orchard in Dummerston, VT beckons apple lovers of all ages to celebrate its many varieties of heirloom apples at this free annual event on Sunday, October 7 from 10am-4pm. Come visit the 571-acre historic farm and orchard and experience heirloom apples fresh, baked and squeezed! 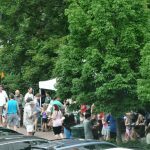 In addition to the popular apple talks and tastings, hard cider tastings by Whetstone Ciderworks of Marlboro, VT, and food vendors, new activities are in store for families. Enjoy fiddle music by Molly Durling of Putney from 10AM-2PM, an art station for kids, and dry stone wall tours, at 11AM, 1 & 3PM, led by The Stone Trust of the Master Features Park and the stonewalls that enhance the grounds. Asian Cultural Center of Vermont (ACCVT) presents the 20th annual Mid-Autumn Moon Festival (Zhongqiu Jie) which is celebrated in China, Korea, Vietnam and other places around the world. 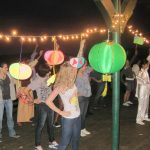 Celebrate the Autumn Moon Festival with crafts, songs, food, t’ai chi, paper lanterns, Chinese exercises, the Korean rope tug and more. Hear the story of The Goddess of the Moon, Chang’e; the great archer Hou-Yi; and the Elixir of Immortality. 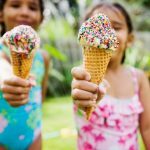 The Brattleboro Food Co-op Staff and Board of Directors are pleased to announce the 2nd annual Ice Cream Social, to be held on Saturday, July 28th on the Whetstone Pathway, across from the Co-op, from 12 – 3 p.m. This community-building event was a great success last year, generating awareness and support of local kid-centered organizations. Stop by for a free bowl of ice cream from Walpole Creamery, and enjoy some family-friendly entertainment. The Compassionate Friends (TCF) of Brattleboro, a national self-help organization for families that have had a child die, will hold its next monthly meeting Sunday, June 17th, at 2:00 PM at The West Village Meetinghouse, 29 South Street, West Brattleboro, VT. Meetings are held each month the third Sunday of the month at the same time and location. Child Care Counts is a task force dedicated to stabilizing and increasing the number of available slots for high quality child care in Windham County. Recognizing that access to child care is a critical economic and workforce development issue, we seek to engage a broad range of partners invested in the issue. We are seeking input from our community members on their experiences as a employers, employees and caregivers. Brattleboro, VT- Youth Services will host their Annual Summer Camp Fair on Friday, April 6, on Gallery Walk Night from 5:30 p.m. – 7:30 p.m. at the River Garden in downtown Brattleboro. Asian Cultural Center of Vermont (ACCVT) presents Lunar New Year of China, Korea and Vietnam. Sunday, Feb 18th, 1-3:30 at the Brattleboro Museum and Art Center (10 Vernon St) . It’s the 16th annual celebration of its kind in southeastern Vermont. It’s a potluck. This year we feature Li Fei Osbourne who will share a dance of the Yi people (one of the Chinese ethnic minorities) and then teach us all a Yi dance. Join us to dance with the Dragon, do group calligraphy, join in a Korean tug-of-war, make a paper lantern or some origami, and sing a New Year’s song from East Asia. You don’t have to be Asian or know anything about Asia to participate! Our 50th Birthday Party! All Day Party at Brooks Memorial Library! WESTANDWITHNECCA event on Sunday, July 16th @ 4 PM on Brattleboro Commons. Come show your support! I was up early today. Too early. Our old cat woke me up at about 5:30 am and got me up to feed her and give her some attention. After a few hours, I was ready to start working. I was really tired from a lack of sleep, but have done this sort of effort before. offer a Jewish-based drop-in playgroup for parents/caregivers and their infants and toddlers (0-5 years). Community-wide Shabbat Dinner in West Brattleboro March 24th! Join BAJC for a Community-wide Shabbat Dinner in West Brattleboro.